Sometimes defects can appear without explanation, and can occur rapidly, or over a prolonged period of time. Defects may include, but are not limited to: cracks in walls, subsidence, cracking of ceiling plasterboard, gaps at sides of window openings, ingress of wet weather, moist walls, noticeable ceiling deflection and deformation of ceiling cornices, etc. 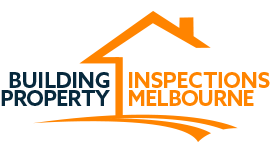 Why continue to worry when you can have areas of concern assessed by a well experienced and qualified building inspector, which is followed-up with a detailed customer friendly report, including recommended actions when and where necessary.